Though the value of 3D printing may seem to lie in plastic knick-knacks and knockoff jewelry, its true potential is far greater and is finally coming to the fore. 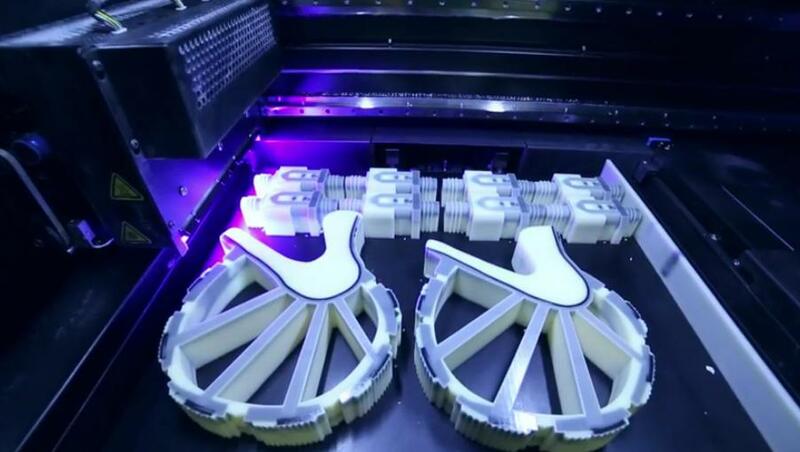 The first reports in the medical field demonstrated how specialized printers could create custom prosthetic limbs for less money than previous methods using a portable machine that can be transported nearly anywhere in the world. Now, designers are beginning to work with the same concept in the animal kingdom. Derby the dog was born with extremely small forearms and no front paws, which made walking almost impossible. Often, when animal shelters encounter a congenital defect on this scale, they’ll choose to put the animal down instead of finding it a home. That was to be Derby’s fate, until the Peace and Paws rescue nonprofit saved him and a woman named Tara Anderson became his foster parent. As an employee of 3D Systems in Massachusetts, Anderson was familiar with recent medical breakthroughs in the 3D printing world and wanted to try a similar approach with her foster pup. Before trying prosthetics, Derby got around with a huge wheel-based contraption that attached to the sides of his body. Similar to a wheelchair, the device allowed Derby to move, but seriously limited his speed and abilities. With her team, Anderson began designing prototypes of 3D models that would give Derby adequate support and flexibility to run freely with other dogs in the neighborhood. To ensure that the design fit Derby’s legs, the team gave the dog a CAT scan to assemble a detailed 3D shape from thousands of individual 2D photos. They also used conventional molded casts, which hardened around Derby’s elbows and gave the designers another customized frame to work with. For the trial run, the team printed a few different designs and tested them on Derby’s legs to see which provided easy mobility and extra support. They tried out two peg-like models and one that put weight on his elbows, settling with a cupped “loop” design that lets Derby run with ease and gives his legs some necessary cushioning. Last August, the Portanova family adopted Derby in the middle of the printing process and worked with Anderson to help their pet adjust to his new legs. Today, Derby has no trouble keeping up with other dogs and playing to his heart’s content. His prosthetic designs keep getting better, too, with the latest iteration sporting stronger treads, adding two more inches of height to match his hind legs, and proudly engraved with “Derby” on the front. With a little ingenuity and some powerful new technology, Derby was saved from death row and lives a happy life in New Hampshire with his loving family.